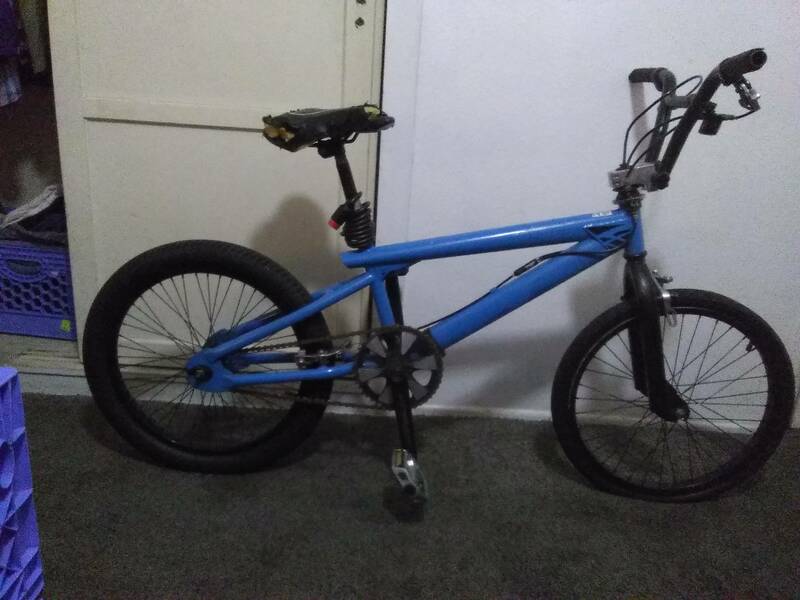 That frame looks rather unusual - Could be worth searching google images for "BMX" till you find something that looks similar. Also the detail of the front gusset looks very unsusual. Not sure if its cosmetic or for strength at the headset. I note the headset has a detangler for the rear brake line, and a Potts mod for the front brake line. However there are no brake pads on the front calipers, so its not going to stop very well. Saddle needs replacing or recovering, and you need air in that front tyre. Based on handlebar angle, the previous rider was way too big for the bike. I'm no BMX expert but based on the construction I'd guess 2000s for the age. Sorry for no better info.